Start the year off on a healthy and delicious note with these warm zoodles tossed with a creamy sesame peanut sauce! Needless to say, that bit of advice has stuck with me. For example, the ‘boringly perfect’ thing to do at the start of a New Year is to make a Resolution aimed directly at one’s waistline…following, oddly, a New Year’s Eve of waist-unfriendly overindulgence. From sinner to saint in less than twelve hours, as the saying goes. 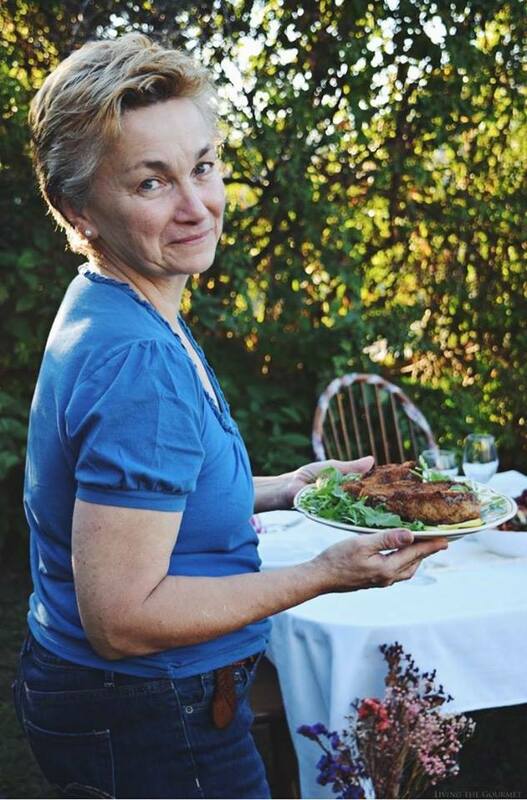 Now, I’ve chronicled my own similarly themed Resolutions here on Living the Gourmet, aimed at fitness and other various forms of self-perfection, and while they all began well-intentioned and in much earnest, people rarely change overnight – especially when the preceding night was the backdrop to purposeful overindulgence. With that in mind, I decided to start the New Year off with something that, while being a ‘healthier’ choice, nevertheless didn’t taste or look at all like something eaten for the sake of ‘Resolution.’ Naturally, that brings us to today’s recipe – Zoodles with Thai Sesame Peanut Sauce. While the noodles strain, combine all of the ingredients listed below for the sauce, and whisk that together until it’s nice and smooth. Then heat a large skillet with oil, and saute the zoodles for about three minutes. You don’t want these to be overcooked in the slightest, lest you’ll end up with very literal mush. Then toss in the sesame peanut sauce, and you’ve got a New Year’s Resolution friendly entrée that doesn’t taste or look at all like a Resolution recipe. Shred the zucchini and carrot through your spiralizer and place in a strainer lined with paper towels. Set aside. Combine all ingredients for the sesame peanut sauce in a bowl and whisk together until smooth. Heat a large skillet with oil and saute the zoodles and carrot for 3-5 minutes only until al dente. Toss with the sesame peanut sauce and serve! I love everything about this dish especially the ITalian colors! This is amazing. I have always been fascinated with the zoodles. This sesame peanut sauce is all I need to try this. 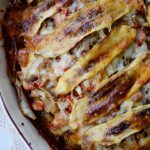 Absolutely love the flavors in the sauce and it is a great one for beginner to try the low carb recipe. 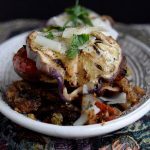 I love zoodles, they are a perfect low carb option. 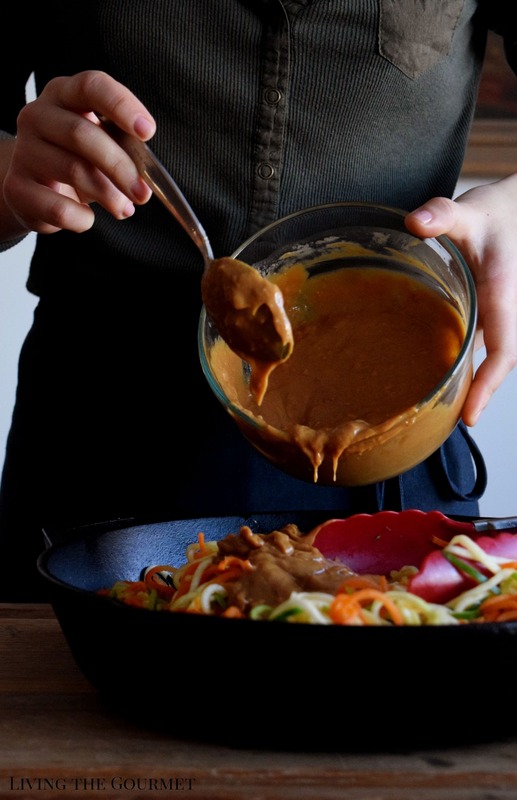 This peanut sauce sounds like it's the perfect sauce for zoodles. Love the sound of tahini and peanut butter in there. I love some creamy noodles and the flavor in these sound delicious. YUP....I love my zoodle maker...and peanut sauce. Sounds so delicious. Healthy eating is on my radar...and this is perfect. 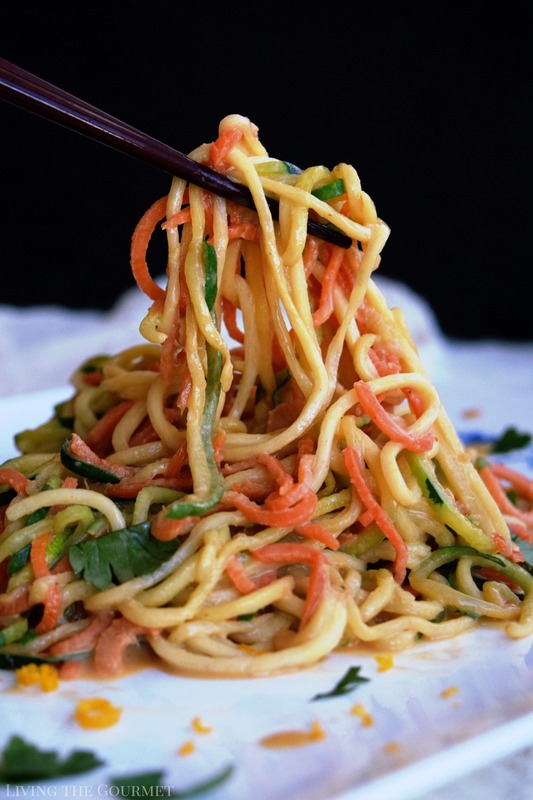 What a great version of sesame peanut noodles! I love both them and zucchini! Sounds so fantastic! I enjoy peanut sauce and ten combined with zoodles that is a great idea! Must do this dish soon. Light and so impressive. What a great solution to wanting to eat healthier but also wanting food that is interesting and appealing. Nobody likes to eat boring diet food. Packed full of flavor like this, dishes are just what we want. These are packed with so much of flavor. 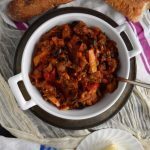 A great way to add more vegetables to the family's diet. Trying it soon. 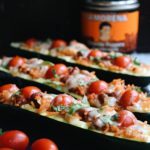 This Zoodles calling my name, love this peanut seamse zoodes, not only healthy but also delicious. 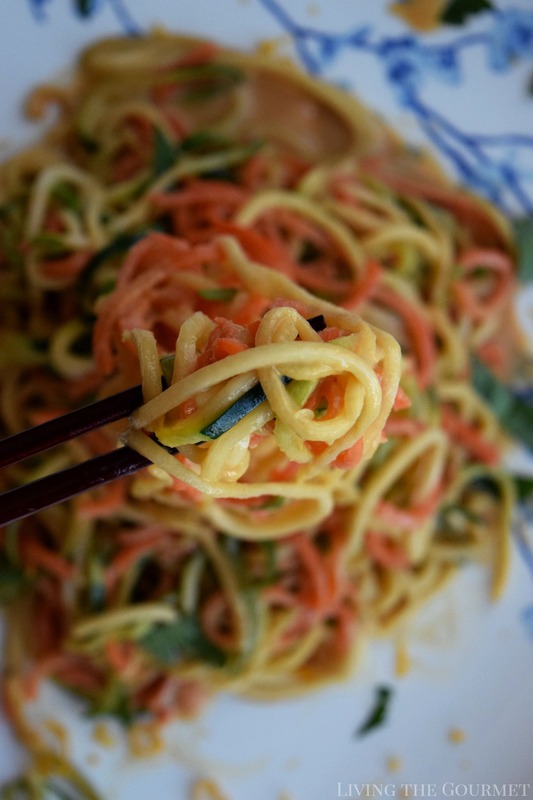 You are tempting me to bu y a spiralizer Zucchini and carrot makes wonderful combo. I looove doodles n probably eat it 2-3 times a month & this would be a great addition to my next zoodle meal. I’m loving the creamy sesame sauce! 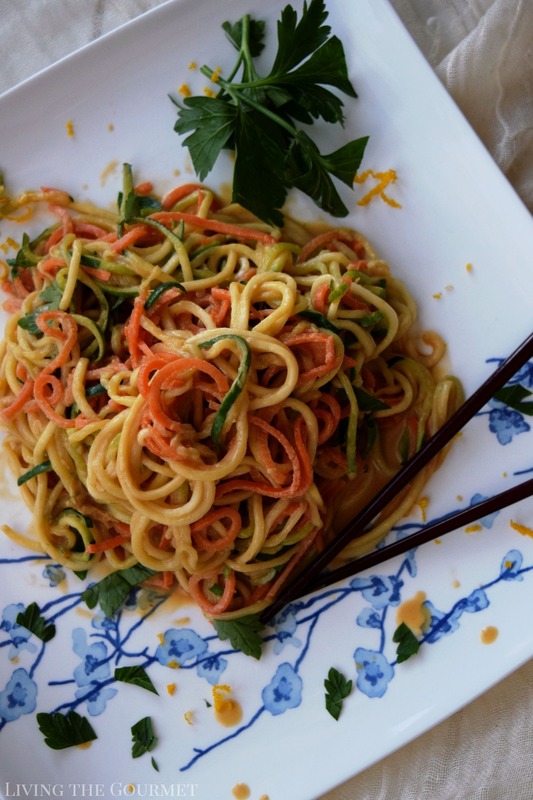 We do love our spiralizer. In fact we have a mini one that we travel with. I haven't tried a carrot through it though. 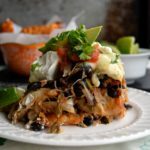 This recipe has inspired me to give it a go. It does seem odd that we truly believe we can make a resolution and change overnight. That said, I think something that does work to have a personal resolve and go full force into it. Either way, this dish looks and sounds absolutely delightful. 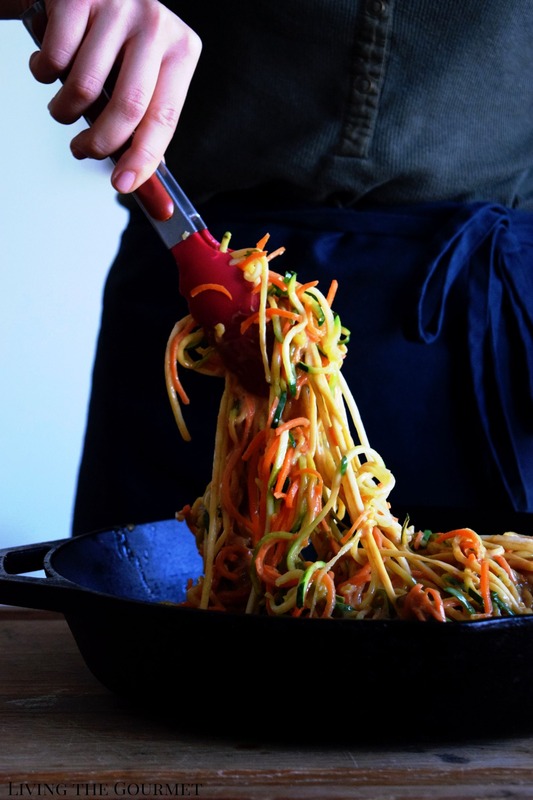 I love that you've put zoodles with a peanut sauce. YUM! Your pics are gorgeous! 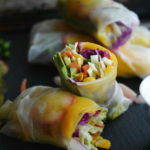 This recipe sounds so flavorful and healthy too! Mmmm, I'm loving the flavors in these zoodles! We eat zoodles year round because I just love them so much! I mean, I started eating them to "be healthier" but then I kept doing it because I prefer them to regular pasta, lol! This looks just wonderful! A spiralizer is next on my list of gadgets. I can't believe I've gone this long without one. So delicious, what a great guilt free choice! Your sauce for the noodles sounds so creamy - peanut, creamy goodness! This is a nice and healthy delicacy. I need to have a healthy diet. Maintaining a healthy diet is very important to our health.